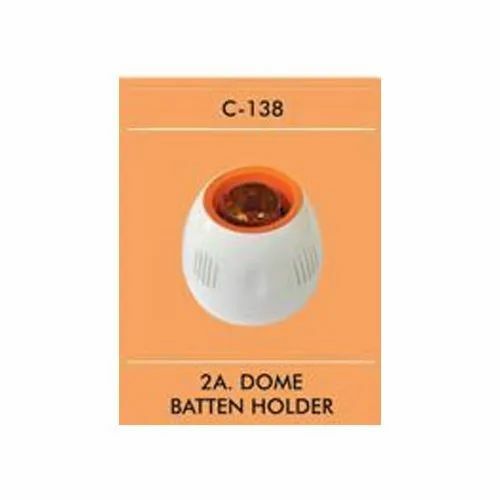 To furnish the ever increasing desires of our customers, we are engrossed in presenting a wide spectrum of C-138 Dome Bulb Holder. Established at Maharashtra (Mumbai-India), we, “Captain Electrical Industries ”, Since 1991, are one of the reputed manufacturers of electrical Accessories. Backed by our team of experienced professionals, we have been able to establish our organization as one of the best manufacturing. Our team comprises procuring agents, technical experts, traders, etc. Our success story has been possible owing to the leadership of Mr. Gopal Poojari & Satish Poojari. They are mentor and pathfinder of our company. Due to his understanding of the market, our company has been able to shine high on success chart.